Did you know you can make money recycling scrap metal ? Scrap metal recycling is the collection and sale of metal material that no longer has any use, this can be: steel, iron, aluminum, platinum, gold, silver, tin, pewter, copper. All of these metals have certain value, some metals have more value than others. Obviously gold is more valuable than silver, but gold is harder to find. It doesnt take much to get started scrap metal recycling. It takes only the motivation to go out and find the metal. If you are a self starter type who likes to work for themselves this may the business for you. To start with you may need a good pair of leather work gloves, metal can cut. You might need a crowbar, a hammer, and lastly if you have or can get it, a truck. You dont have to have a truck but it helps. The next thing is to decide what type of scrap metal you would like to recycle. Some metals are very dirty and very heavy, i.e. iron, steel. Some scrap metal items like computers or electronics are pretty lightweight, are usually clean enough so you can transport them in your car. Once you figure out what type of metal you want to recycle then the next step is to go out and find it. Start by setting out a box, bucket, or bin to start placing the scrap you find. A couple of resources that are helpful before you start. First of all the internet is the first tool to read upon the latest tips and tricks from the people who are actually collecting scrap metal right now. There are online forums that can help you find scrap metal, sell your scrap metal, and make sure you will get a good price for your metal when you take it to the scrap yard. The first place to look is in your own house or apartment, find items that you no longer use. How many of us have an old computer sitting around that are no longer used. Do you have an old swingset, a collection of aluminum cans, bunch of old extension cords, (copper) that are no longer useful, all of these items can be recycled for money. Scrap metal recycling takes work, just like anything else, but here are some suggestions to make the collecting of metal easier. Scour craiglists ads for people who are wanting trash hauled off, sometimes there will be items that have value that can be had for nothing. Another way to find scrap metal is to start a trash hauling business, while this requires a little more overhead, such as a business license, truck etc, you can get a generous monetary return discovering items that might have gone unnoticed. Cleaning out apartments and houses is a way that many scrappers find their metal. If you are focusing on electronics and computers to recycle for money, a resource to utilize are auctions. You can find out about auctions online, and in newspaper classified sections. Auctions are a great way to get scrap metal for a very good price. You can find estate auctions, government auctions, and storage shed auctions happening every week in your area. Auctions do require a small amount of money to make it worth your while, sometimes there will be competitors there who are doing the same thing you are. Remember to keep your cool, try not to get emotional, and do your best to make a good deal. Scrap metal will not put you on easy street over night. As with any skill you have to learn the fundamentals of profit vs loss. Knowing the current value of a particular metal is essential to maintaining profitability, there are phone applications and websites that will provide you with up to the minute metal pricing. Second, its a good idea to get to know your local scrapyard, and make frequent dropoffs. This is so they will get to know you bring scrap in regularly, so you may find they give you a better price than the person they see once a year. The scrap yard doesnt give you the market price for your metal, it will be anywhere from 70-80% of the market value at the time. Some scrap yards charge less of a fee than others, the key is developing a relationship with them. When you do arrive at the yard with your scrap have it organized, sorted, and easy for them to deal with. This gives you a better price as well since the yard has to do less work to get the metal processed. 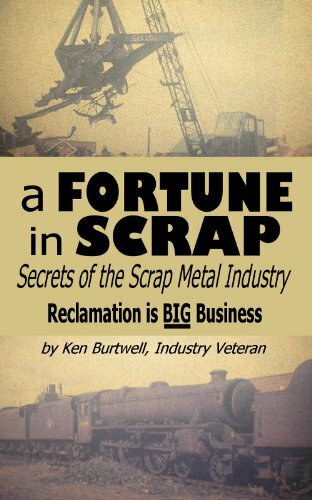 So good luck, the scrap is out there, you just have to go get it. When you say profitable, what would that mean in dollars an hour?